I am so excited! Mikhaela who blogs over at Polka Dot Overload and her mom, Beryl (who by the way has a really amazing site that includes loads of three dimensional Google Earth models she has made of literary landmarks and other notable places!!) have been amazing genealogy detectives! Through a search on ancestry.com, Mikhaela's mum was able to find out more about the founder of the McCall Pattern Company. 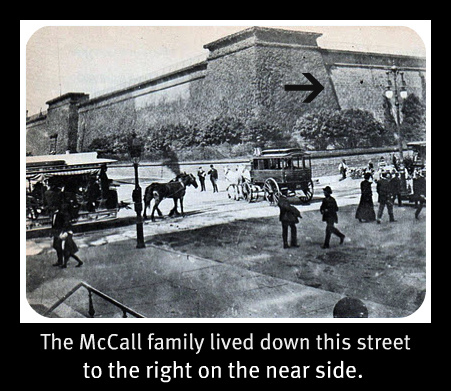 James McCall was born in 1823 and was 47 when he started the McCall Pattern Company. He was married to Laura S. McCall who was five years younger than him. They had a daughter, Fannie M. McCall and what I find really fascinating is that Mrs. McCall had Fannie when she was 40 years old (James was 45--so it was two years before he started the McCall Pattern Company that they had their only child). 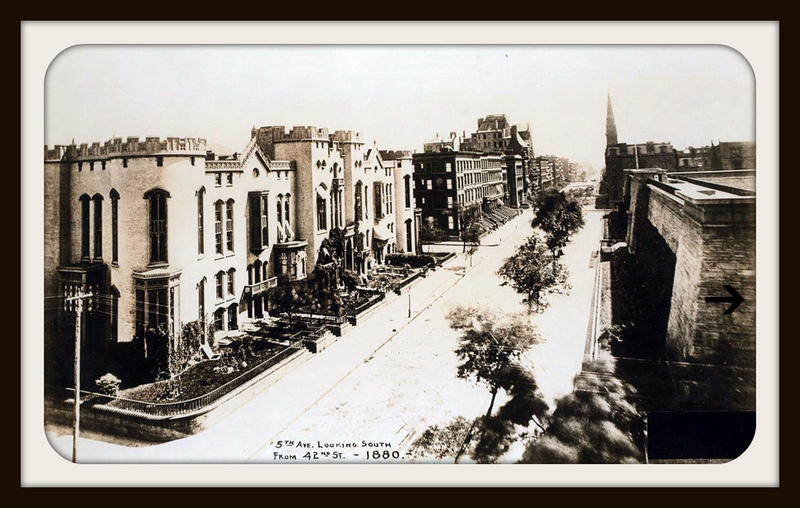 This photo shows what would have been around the corner from him (1885-1939). 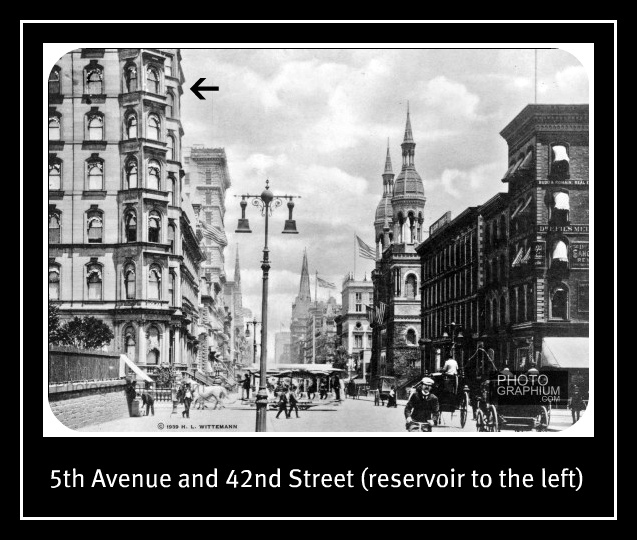 He lived right next to that first building on the left with the cool windows (down 42nd street in the direction that the arrow is pointing). Wow! He lived in what was then (and still is) a very desirable part of town. James and Laura had two servants living with them at the 1880 census named Mary Griffin and Kate Doyle. So it seems that the McCall's did quite well for themselves within the first decade after he founded his pattern company. 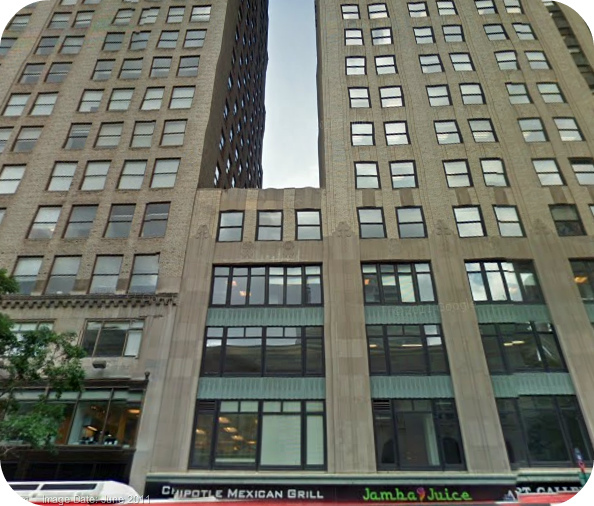 It's the building in the middle...which is now a Chipotle Mexican Grill (photo from Google Earth). Sigh. Well, the next time I'm in NYC, I may have to have a taco in his honour. Double sigh. A super big thank you to Mikhaela and her mom for finding out more information about Mr. McCall and his family! This is so cool! What detective work, interesting info! This is fascinating! What quick work. This is like Who Do You Think You Are, James McCall! Fantastic work. wow, thanks for sharing. I love the historical background. That is amazing. New York looks soooooo different! So gentile. Fascinating! This is awesome sleuth work!